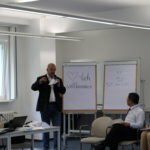 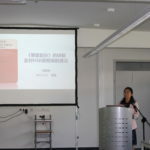 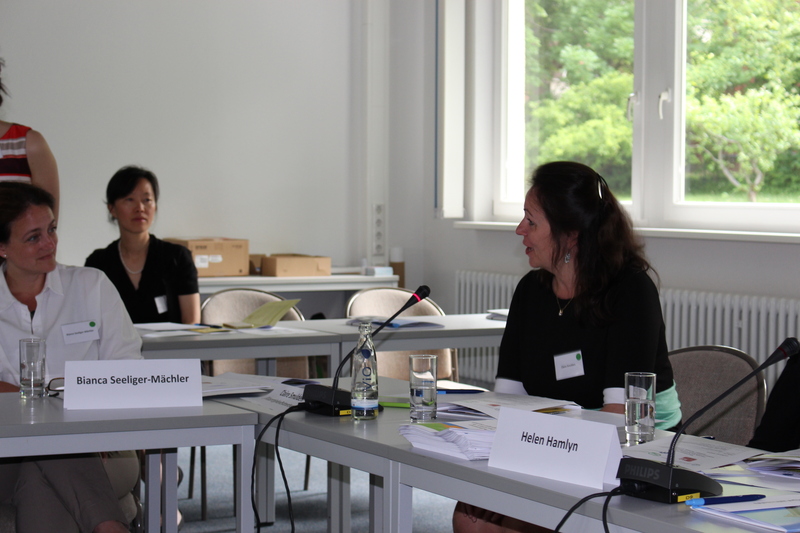 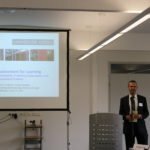 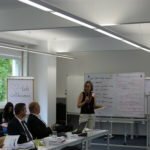 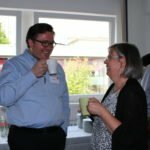 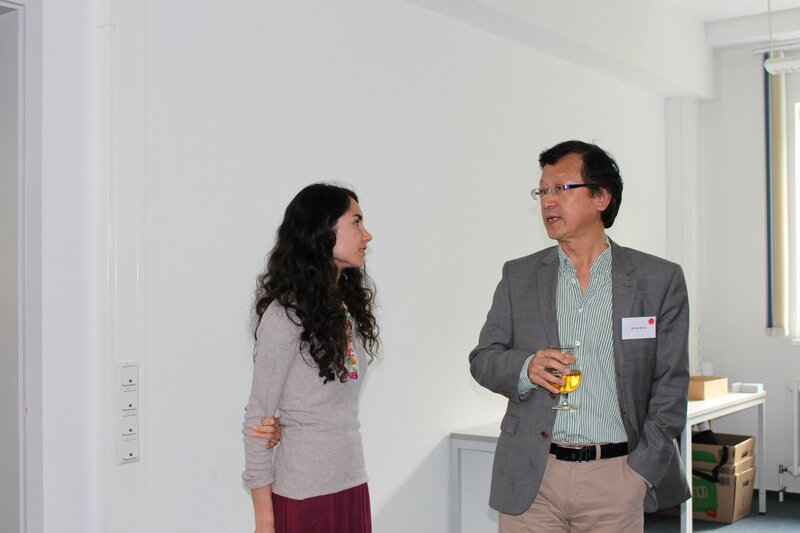 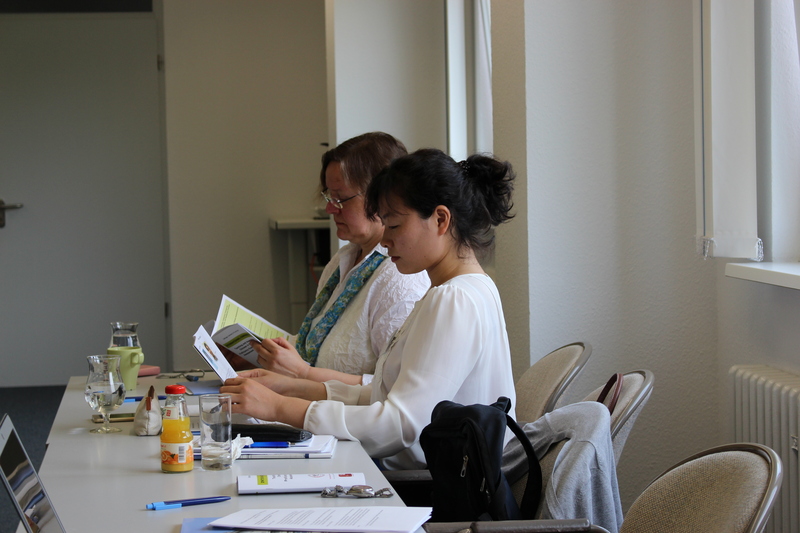 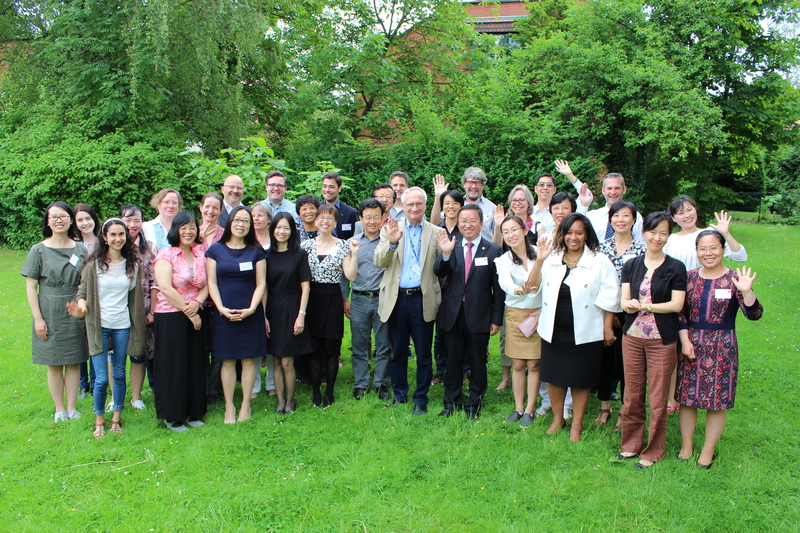 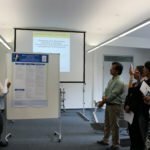 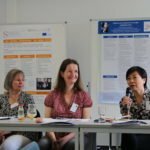 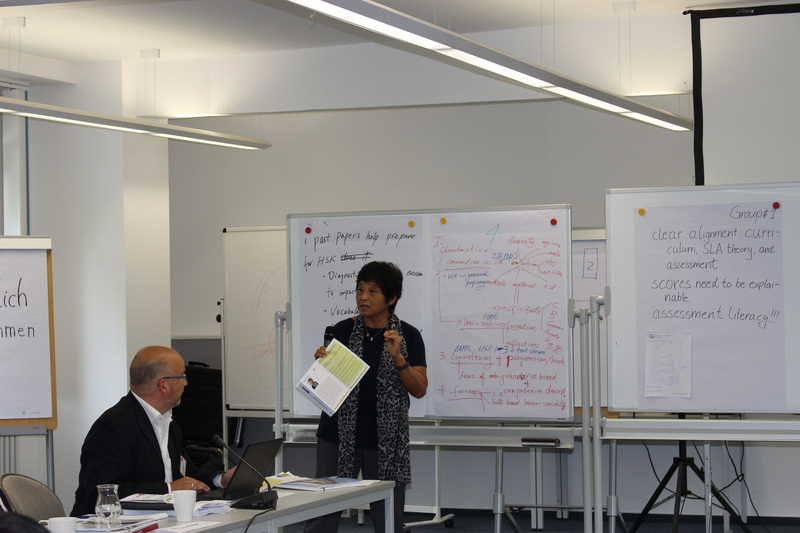 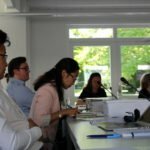 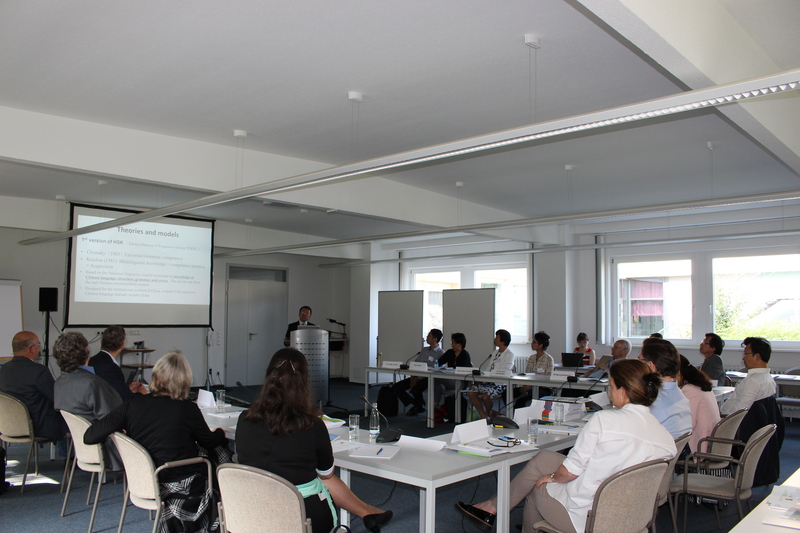 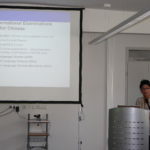 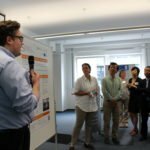 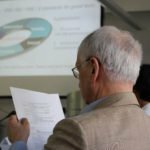 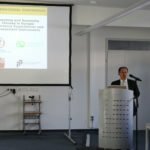 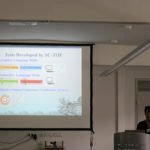 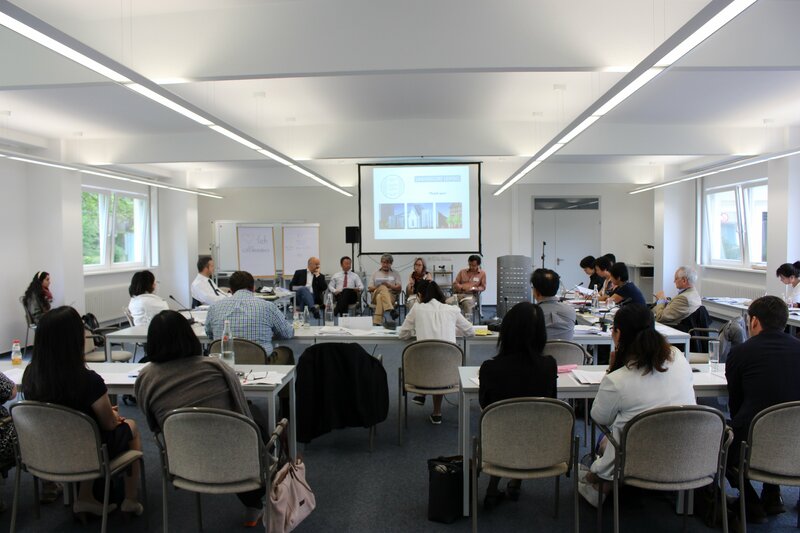 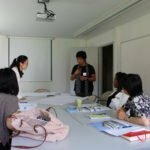 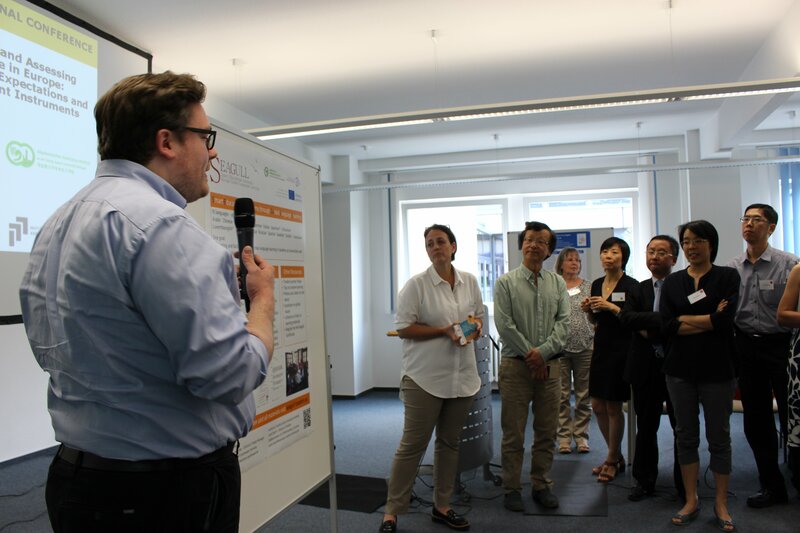 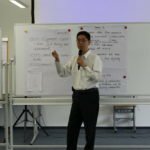 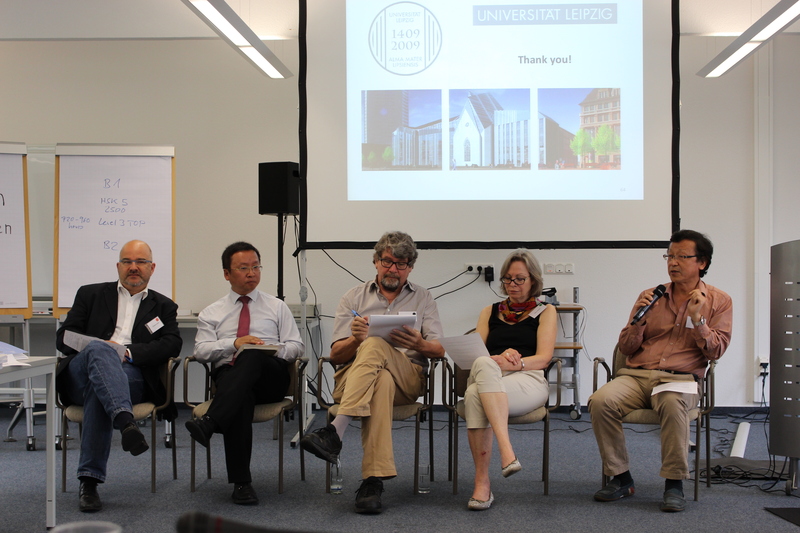 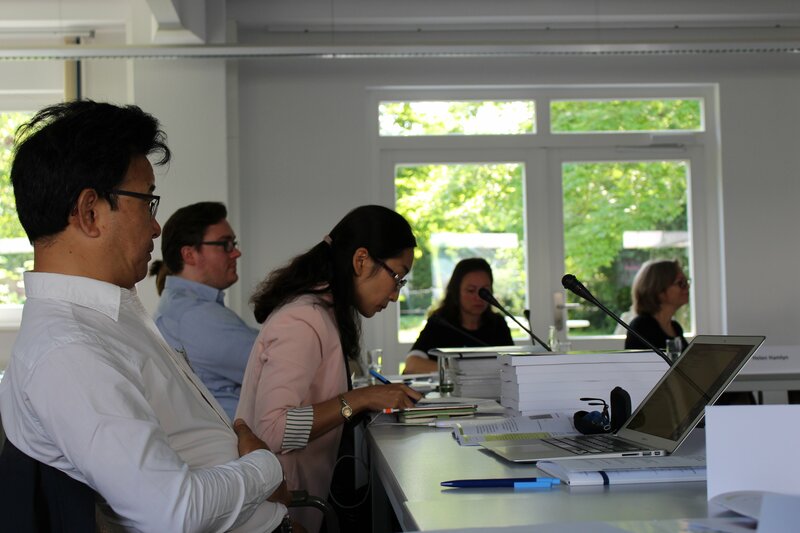 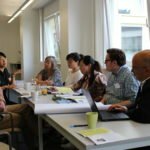 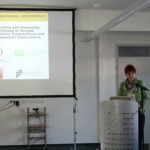 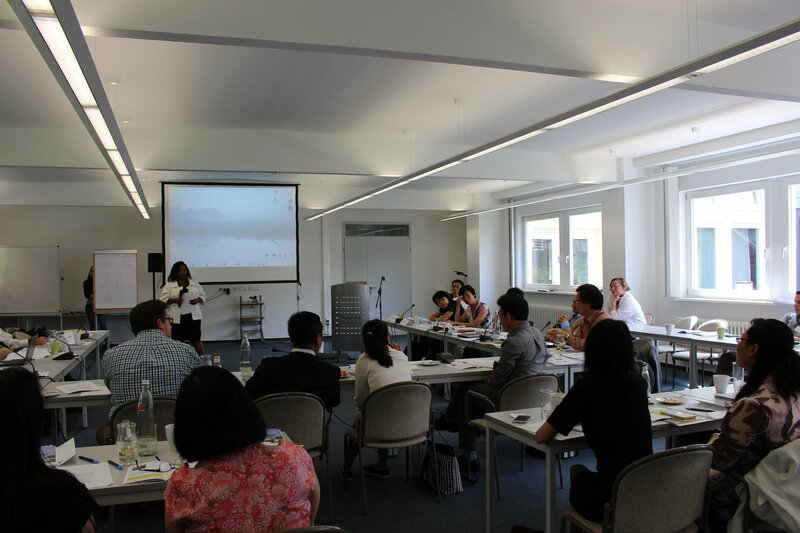 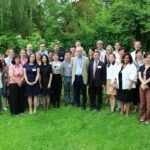 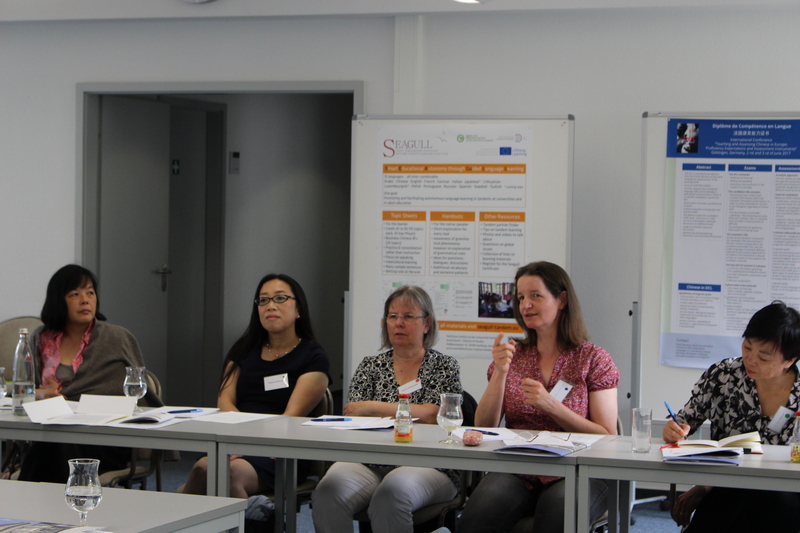 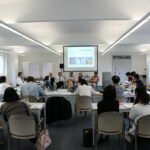 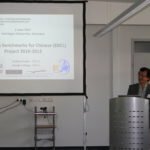 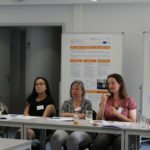 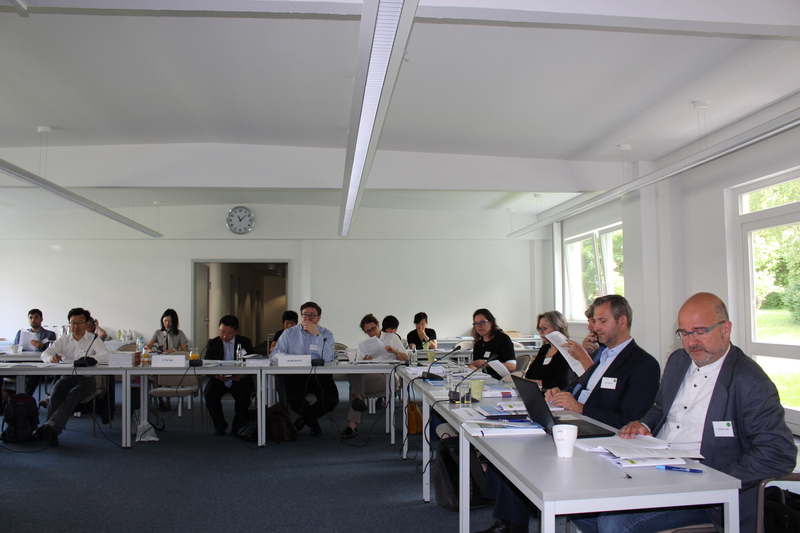 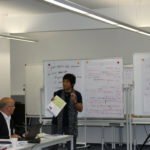 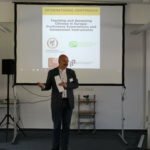 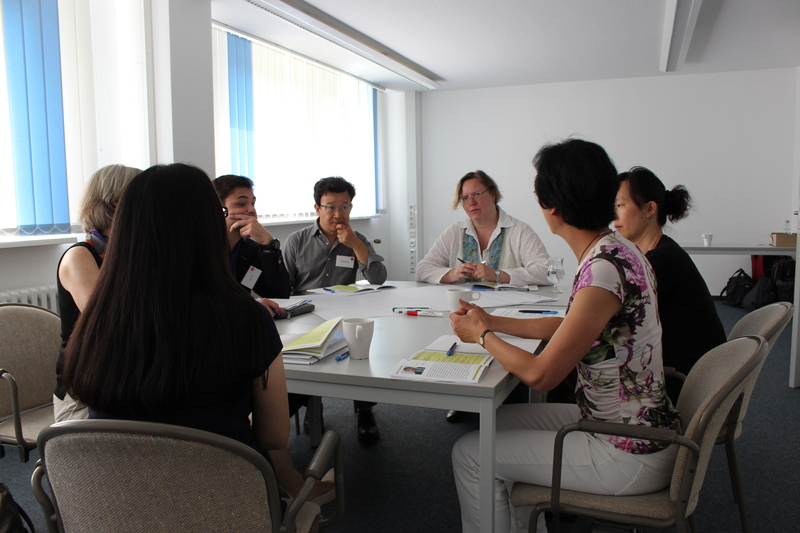 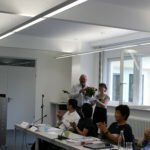 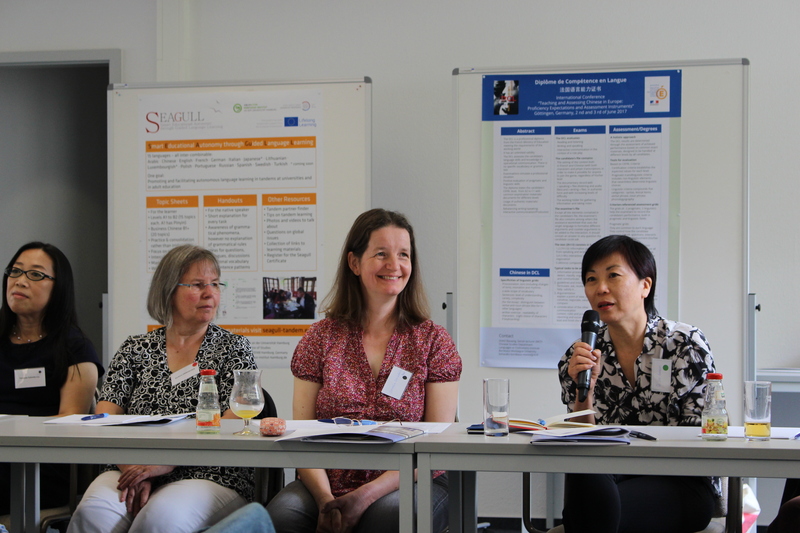 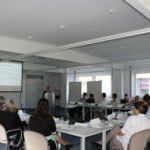 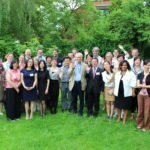 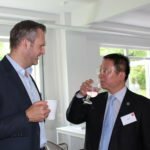 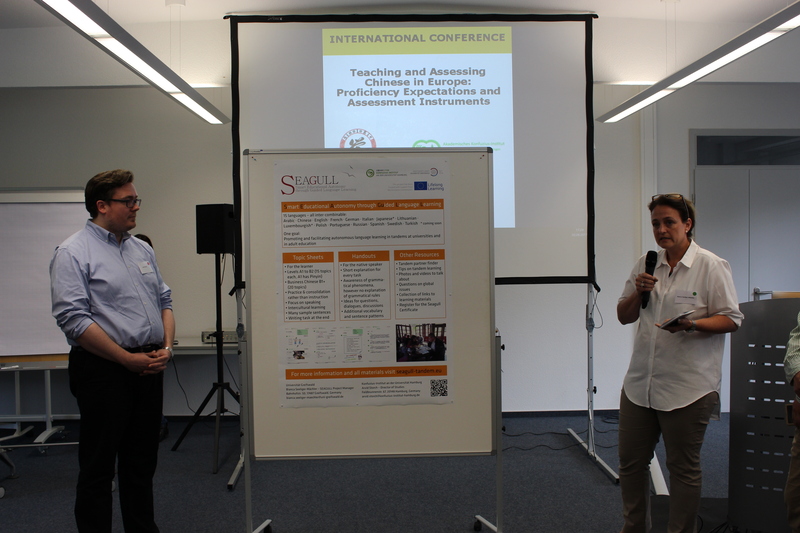 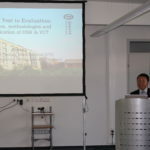 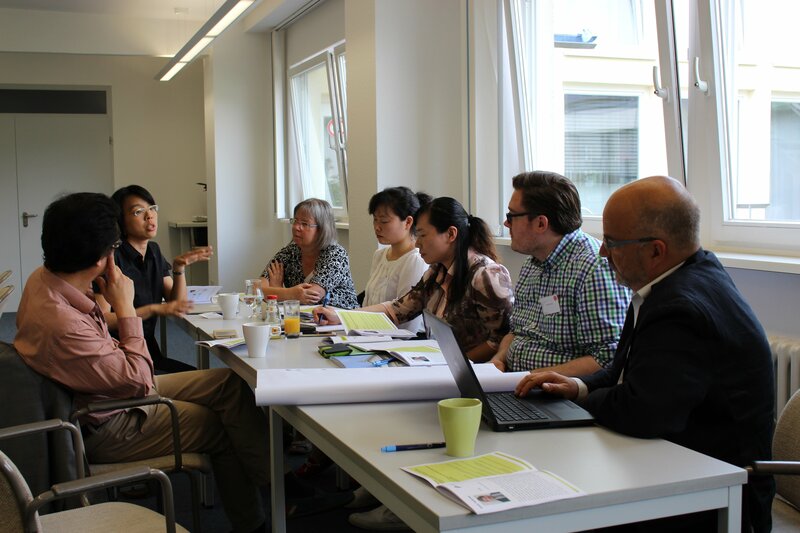 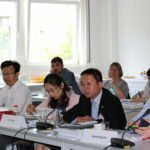 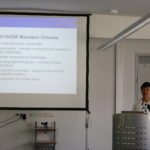 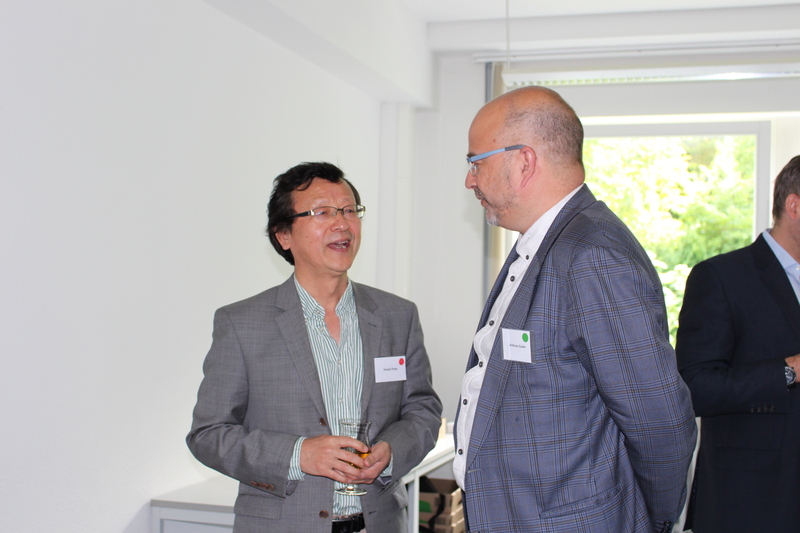 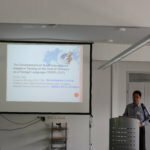 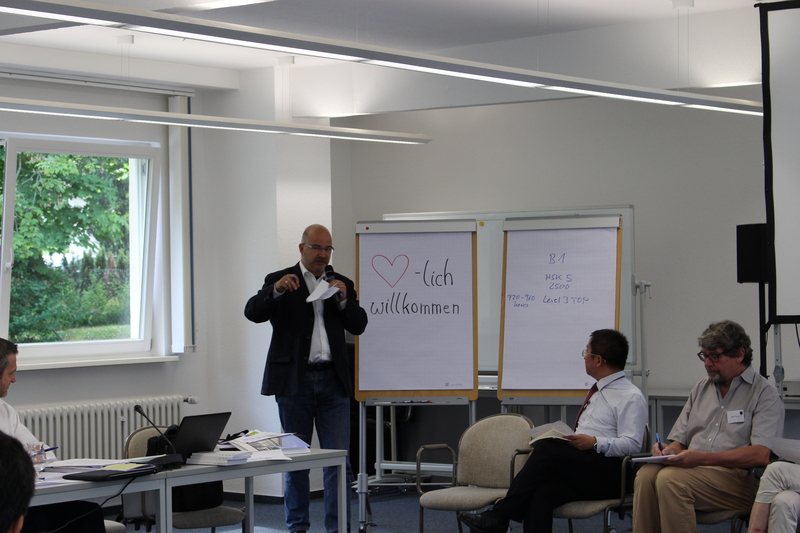 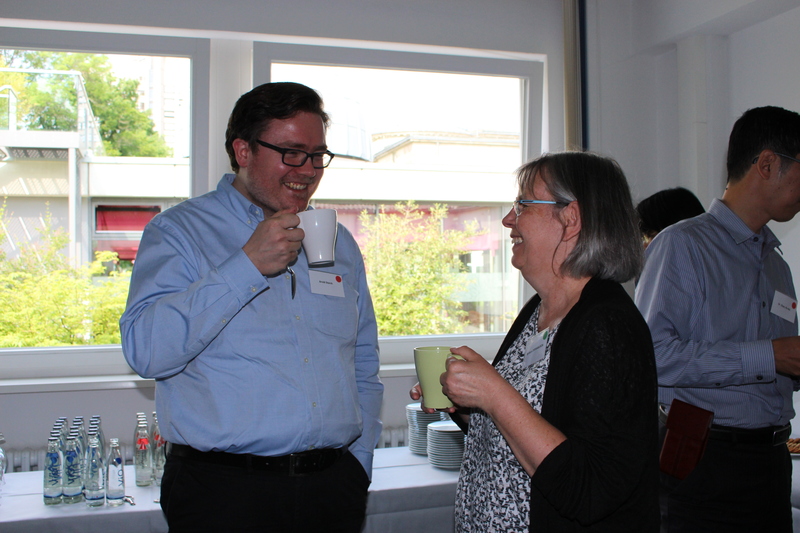 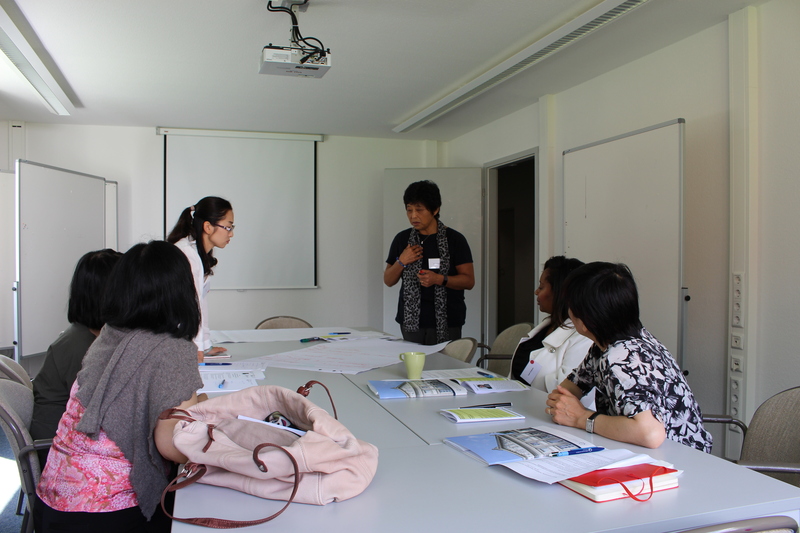 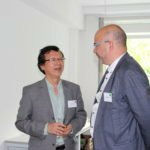 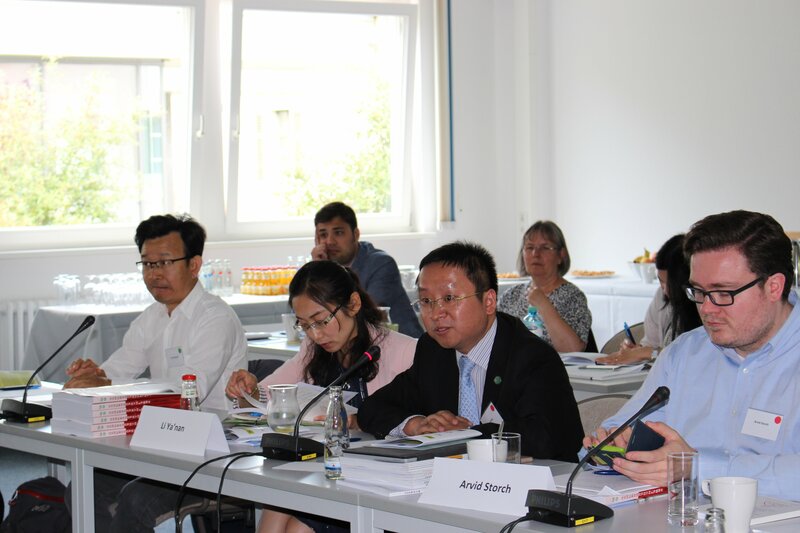 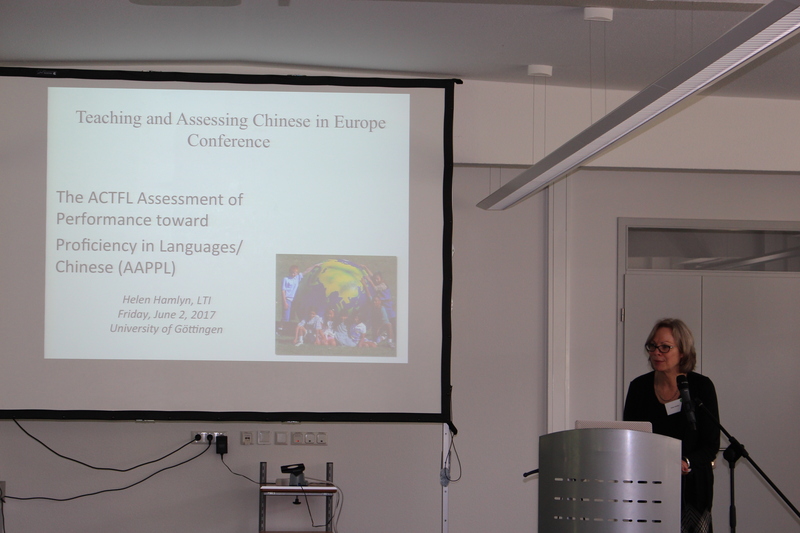 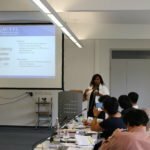 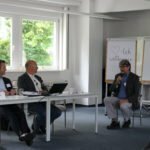 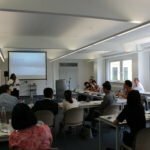 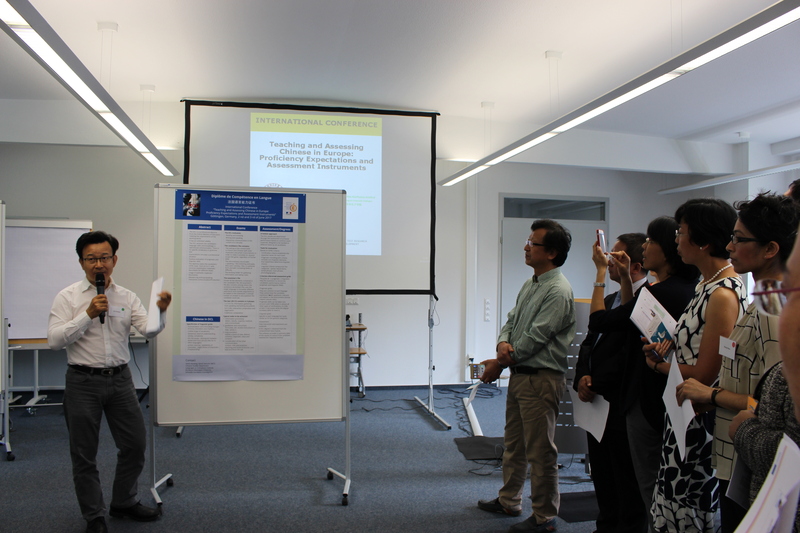 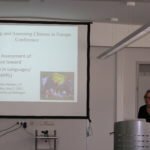 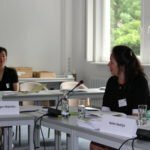 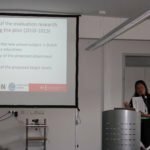 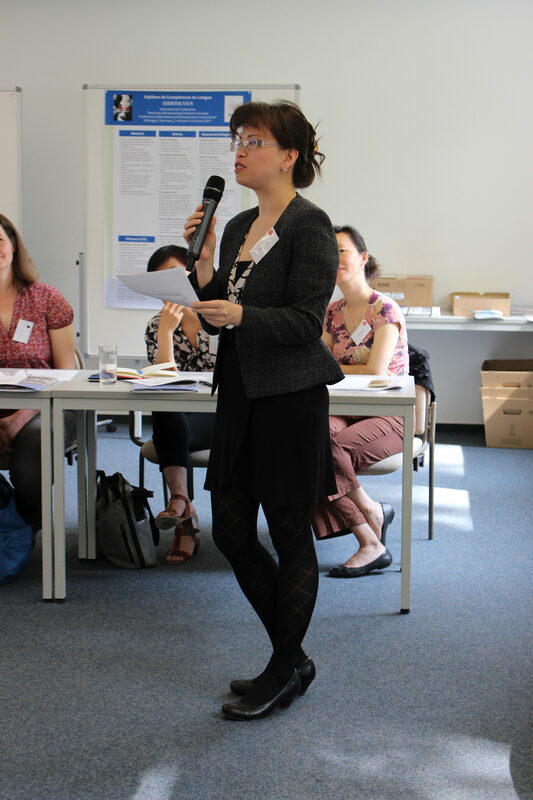 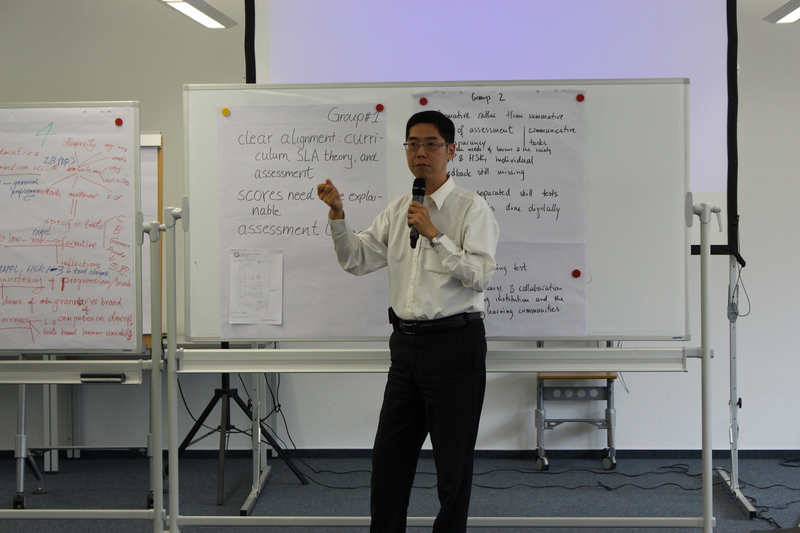 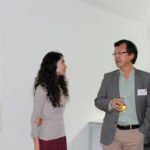 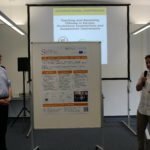 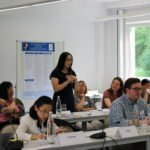 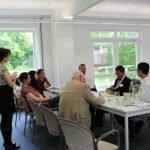 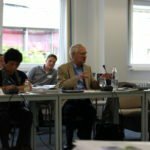 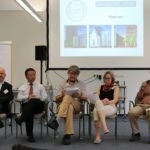 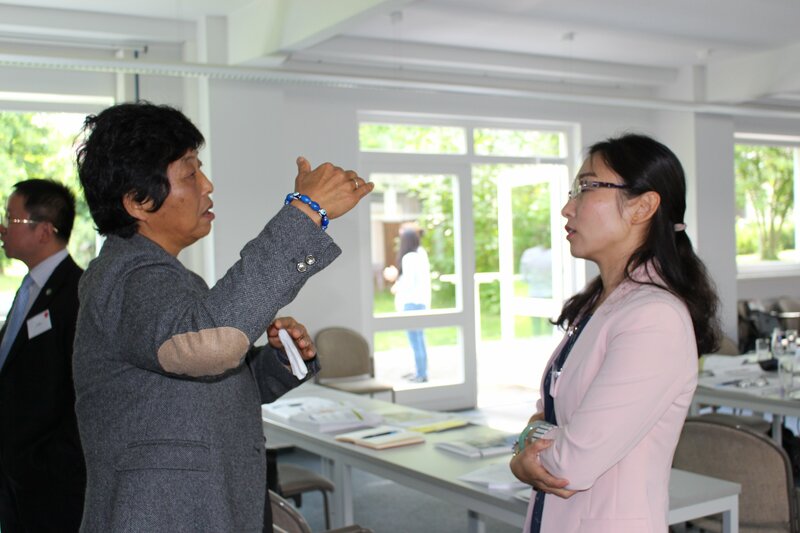 On June 2nd and 3rd 2017, the Department of East Asian Studies of Göttingen University in cooperation with the Institute of Test Research and Test Development Leipzig held the international conference “Teaching and Assessing Chinese in Europe: Proficiency Expectations and Assessment Instruments” with participants from Germany, China, Taiwan, USA, Great Britain, France, the Netherlands and Switzerland. 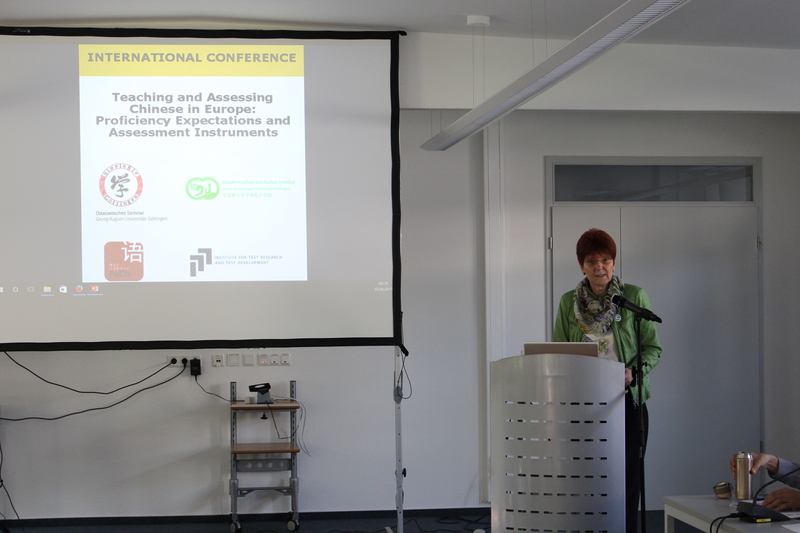 The conference, which was generously supported by the Akademisches Konfuzius-Institut Göttingen (AKI), had the goal to bring together experts of several Chinese language assessments and frameworks from all over the world to exchange views and ideas on dealing with Chinese language framework and assessment issues such as defining proficiency levels; teaching and learning traditions and goals; writing systems; digital writing vs. writing by hand; and the future of Chinese language education within a European context. 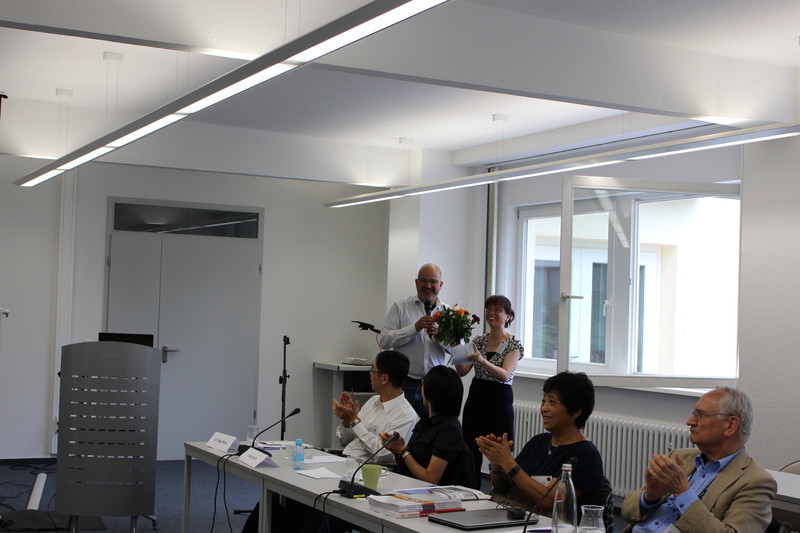 After welcoming words by the Vice-President of Göttingen University, Hiltraud Casper- Hehne, and the Chinese Director of AKI Göttingen, LI Qikeng, Andreas Guder, Professor for Chinese Language Teaching in Göttingen, German Director of AKI Göttingen and president of the Association of Chinese Language Teachers in the German Speaking Countries (FaCh), opened the conference. 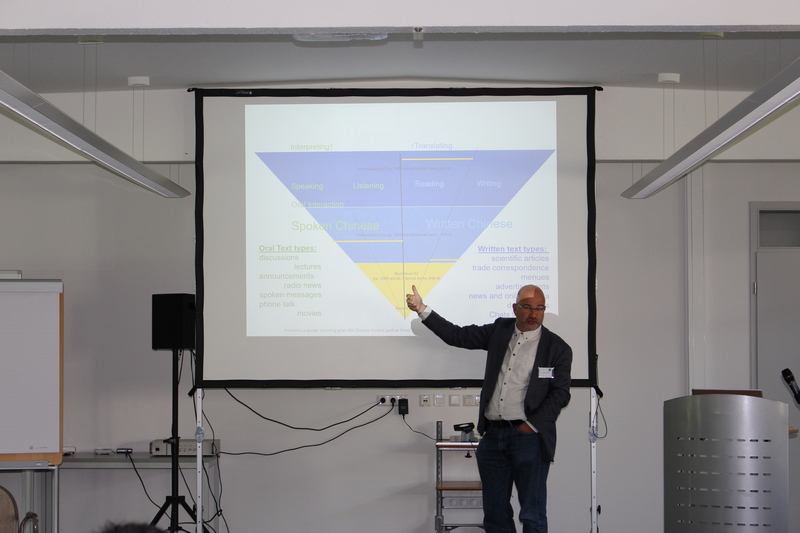 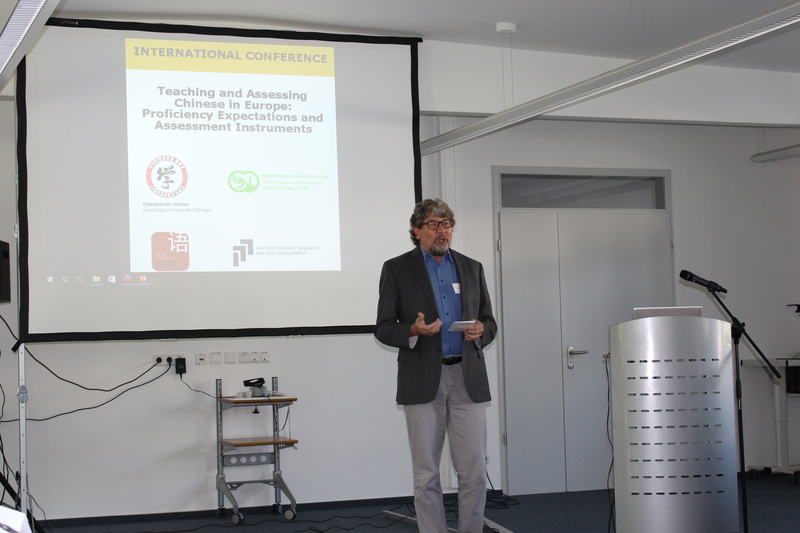 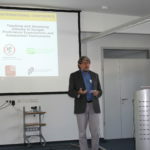 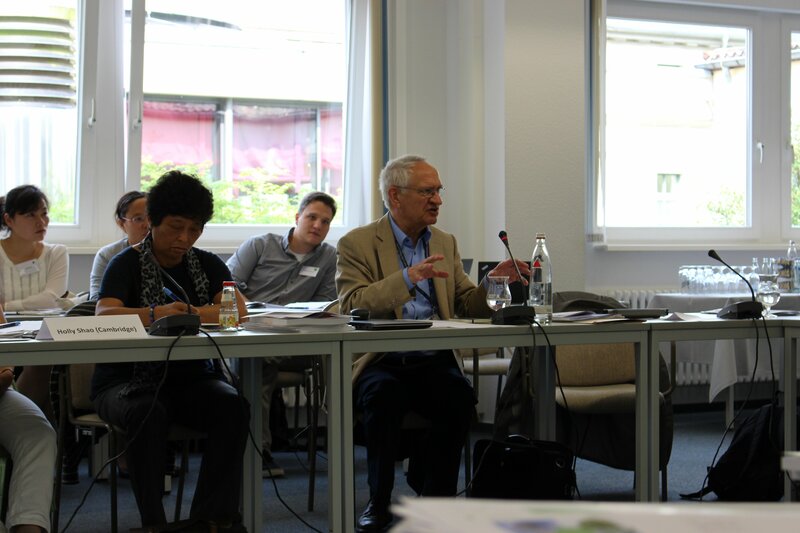 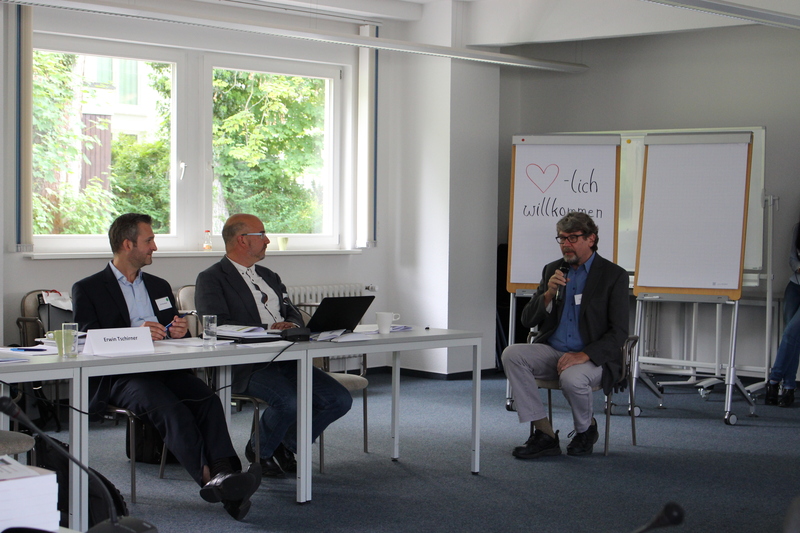 Erwin Tschirner’s (Leipzig) presentation was entitled “Assessment for Learning: Comparing Frameworks, Proficiency Expectations, and Assessment Practices”. 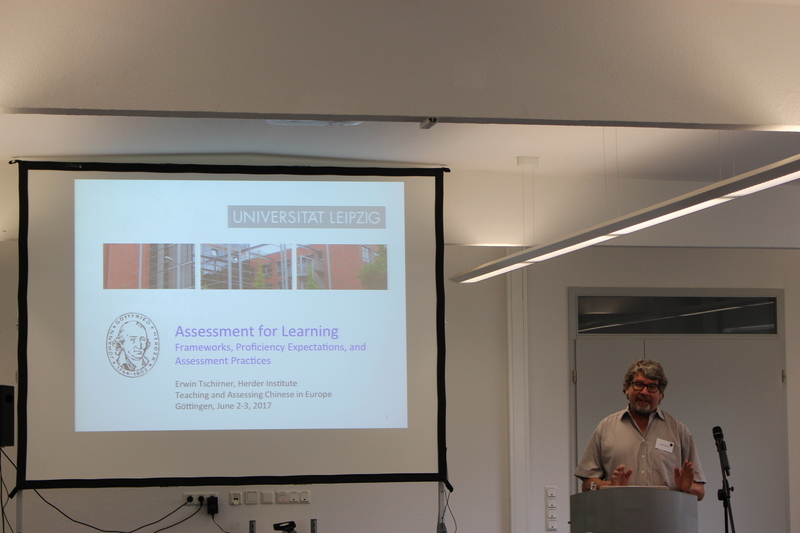 He argued that all kinds of assessments should be assessments for learning, i.e. 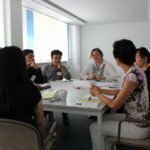 provide diagnostic feedback and help learners increase their language proficiency while preparing for a particular test. 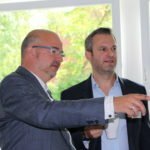 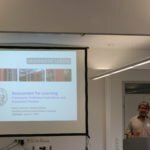 He also argued that correspondences between frameworks need to be established empirically as do proficiency expectations and provided several examples of the kinds of research questions the profession should try to address. 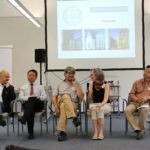 After the presentation, a panel of experts discussed several of the questions raised by Tschirner with respect to crosswalks, proficiency expectations, and assessment practices within Chinese. 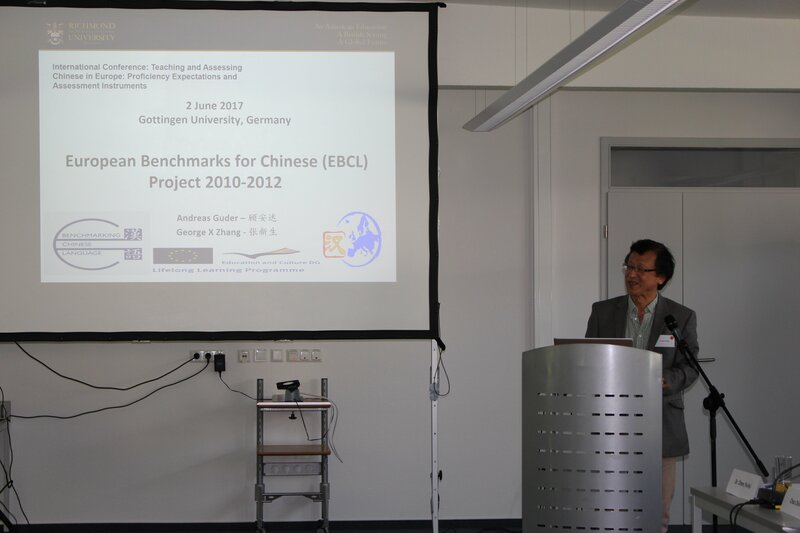 Andreas Guder raised the question which proficiency levels can realistically be achieved by Sinology students. 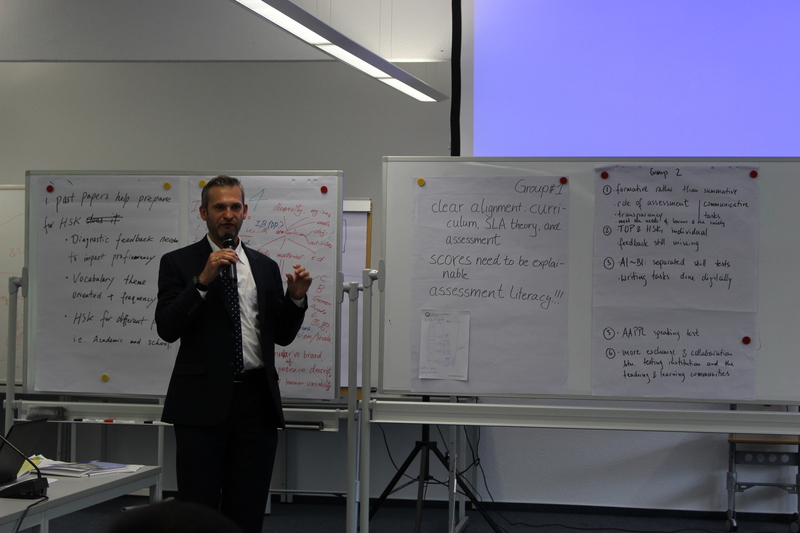 He stressed the importance of providing detailed feedback on students’ proficiency levels for each individual skill. 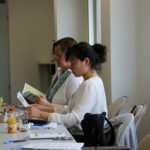 Whereas a high proficiency in reading may be difficult to reach, students may easily achieve higher levels of oral proficiency without being able to read and write. 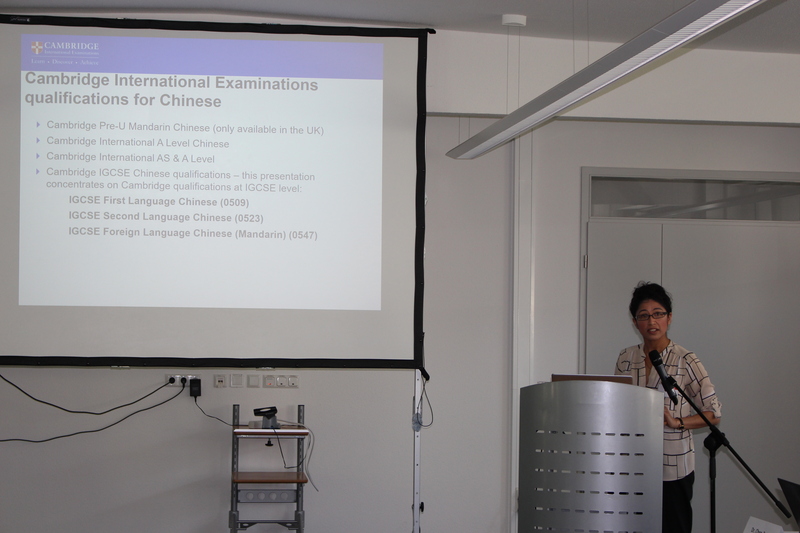 Though this might be an incentive for potential learners of Chinese outside the framework of academic Chinese studies, at present, only 10 % of Hanban test candidates take the oral exam HSKK. 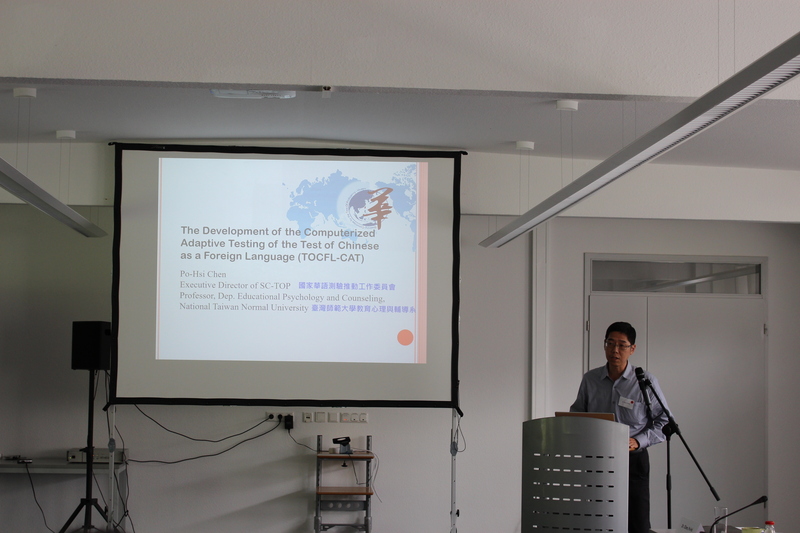 Li Peize stressed the importance of crosswalks between individual testing systems. 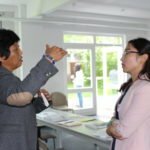 He was convinced that Chinese language tests have to adhere to the principals of communicative language testing, with a specific focus on communicative tasks. 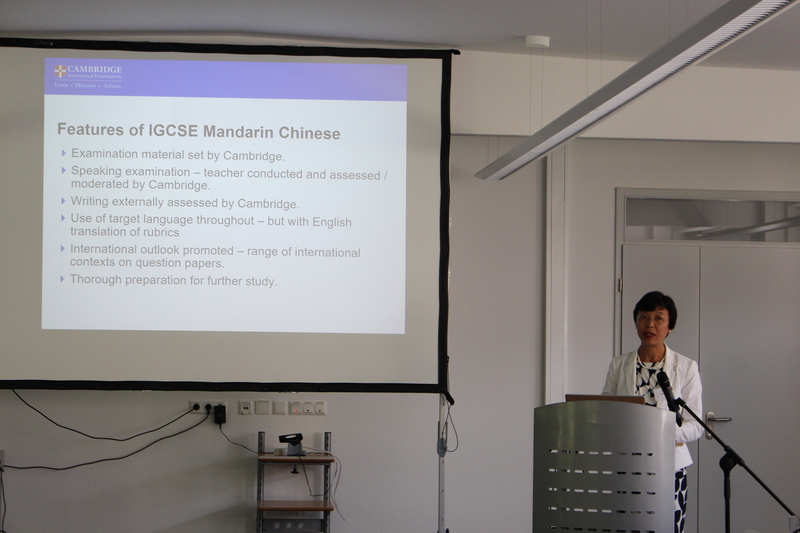 Referring to Li Peize’s statement, Helen Hamlyn suggested concrete steps for the alignment of different Chinese language tests. 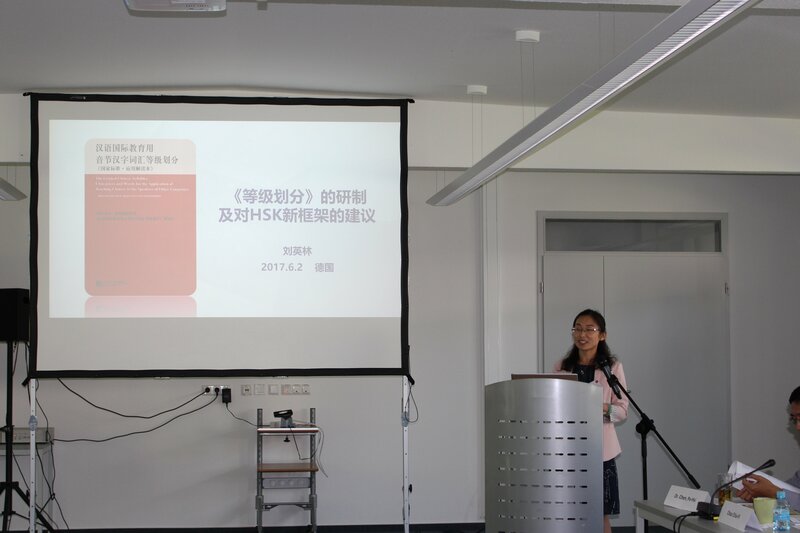 She expressed her belief that crosswalks between testing frameworks of proficiency such as the Hanban proficiency levels, the Common European Framework of Reference, and the ACTFL Proficiency Guidelines can only be done test by test. 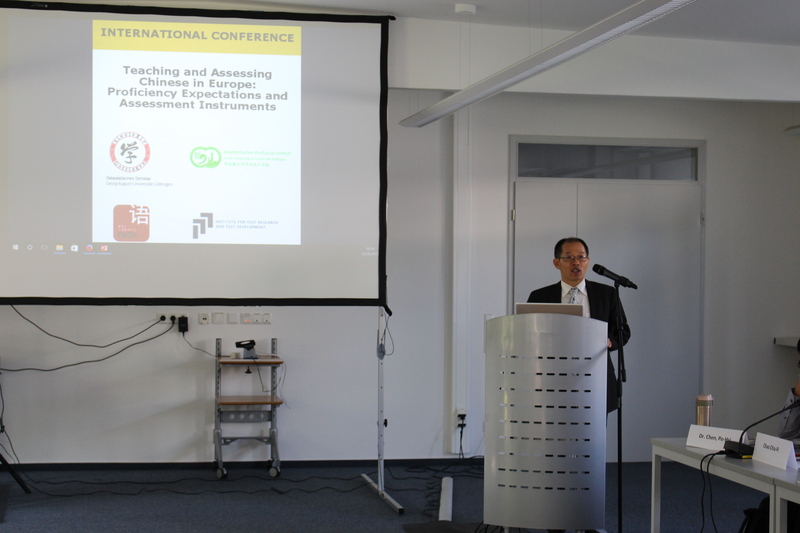 In the final statement, George Zhang highlighted the importance of conceiving language assessments not only as a means of reporting on language competence, but also as a means to promote language learning. 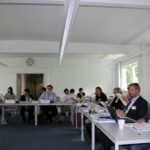 All participants agreed that existing language assessments will serve their constituencies better if they turn into assessments FOR learning. 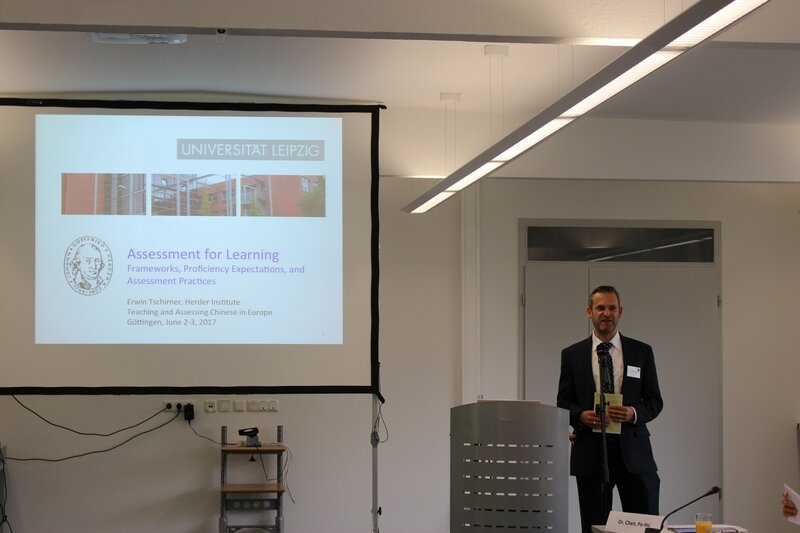 The first workshop of the day dealt with questions of the relationship between learning processes and characteristics of assessments. 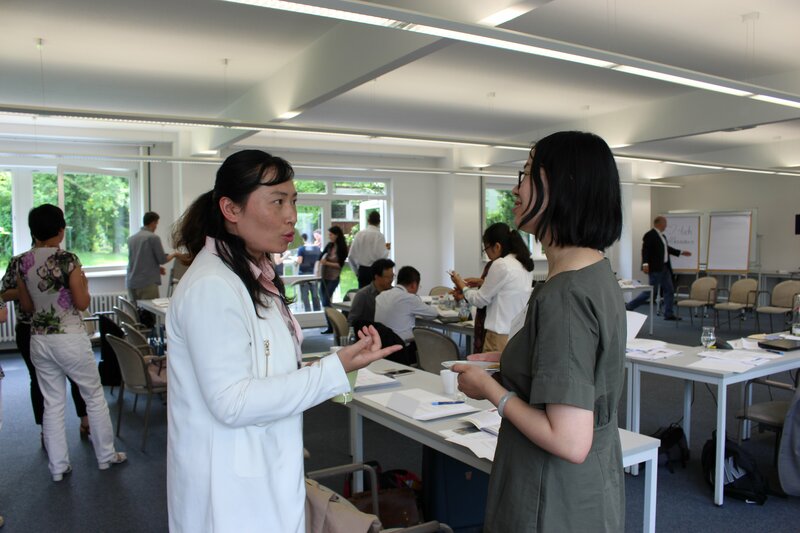 Participants worked in small groups and discussed in groups the advantages and disadvantages of current Chinese language exams as well as their impact on curricula and teaching and learning practices. 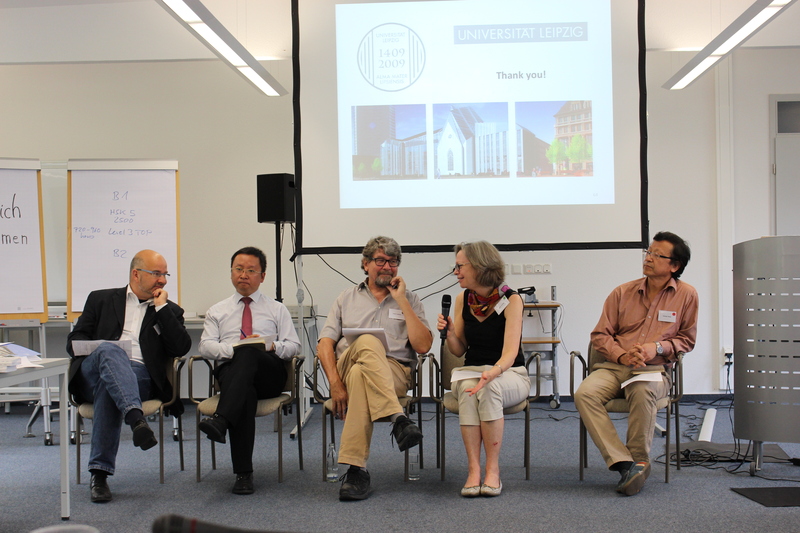 and most importantly, the development of reliable crosswalks between major international frameworks of language development. 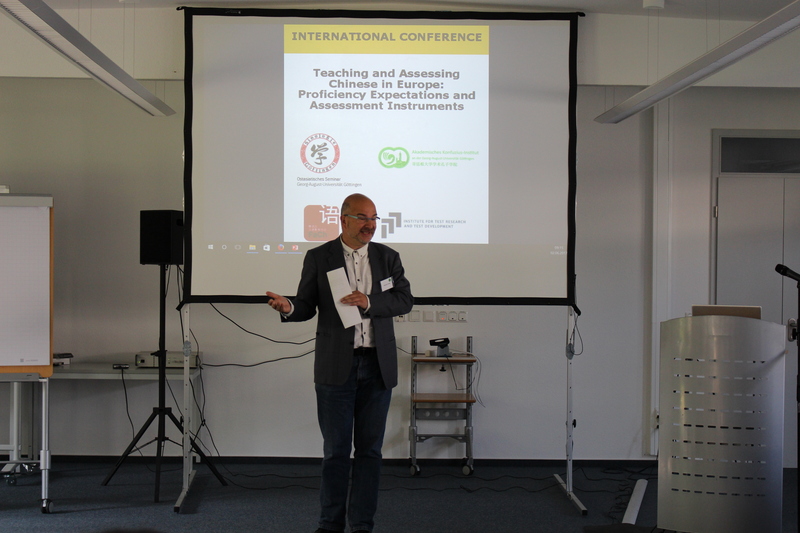 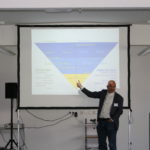 In the second keynote, Olaf Bärenfänger, Vice President of the Institute for Test Research and Test Develoment (Leipzig), addressed “Validity Claims of Language Examinations: How Can They be Established?”. 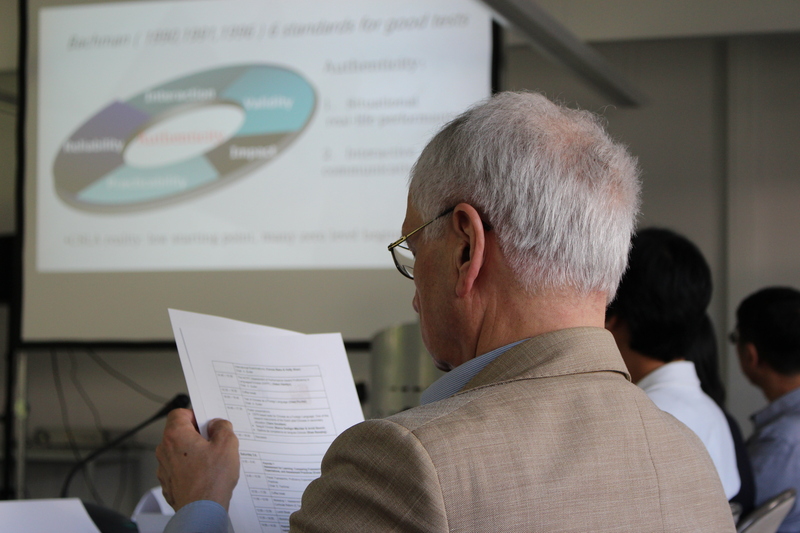 In his paper, he outlined the European standards of test construction and quality assurance processes as documented in a manual by the Council of Europe. 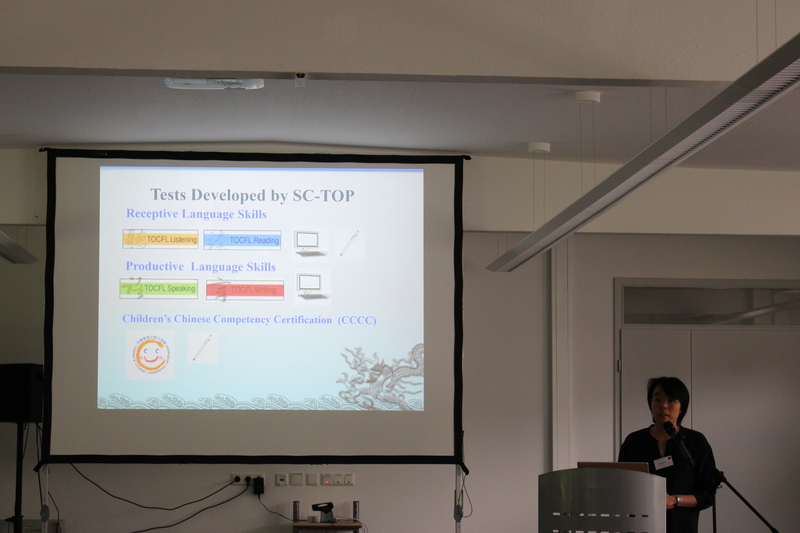 In a second step, he compared a number of existing Chinese language tests against these standards, focusing on general information on the constructs and on principles of communicative language testing provided to the test takers. 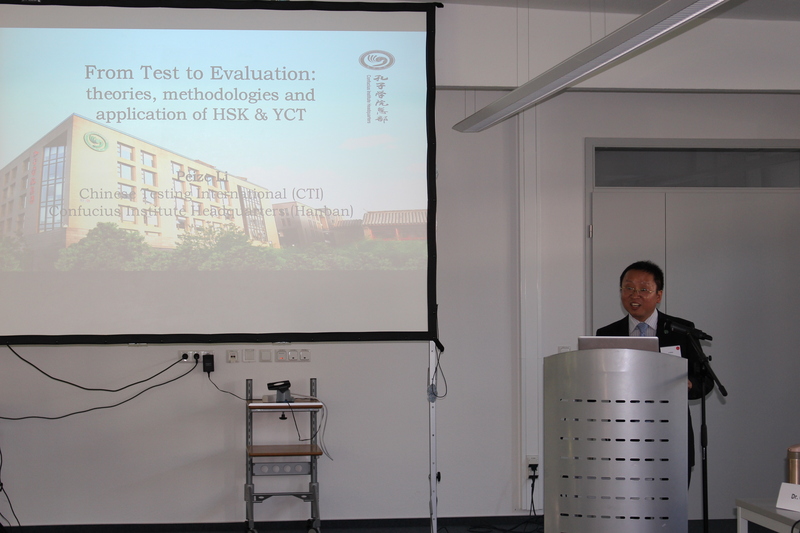 He also discussed selected test items with regard to their authenticity. 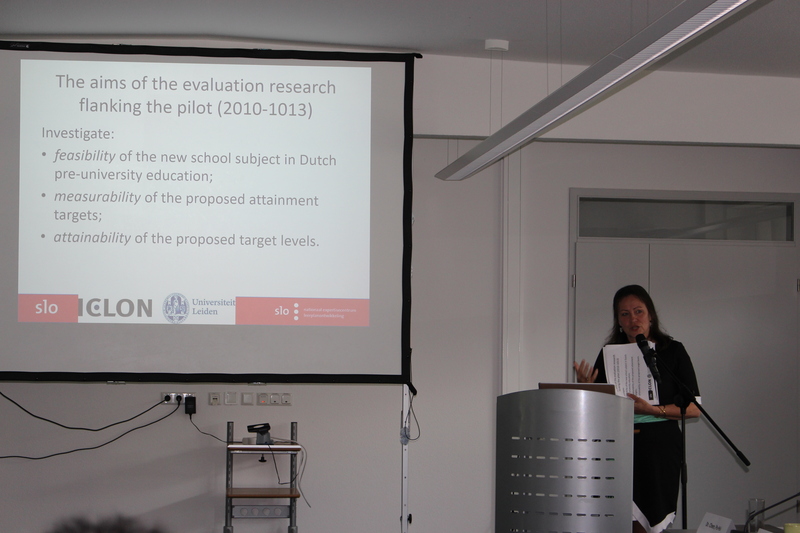 As a research desideratum, Bärenfänger identified missing validity studies. 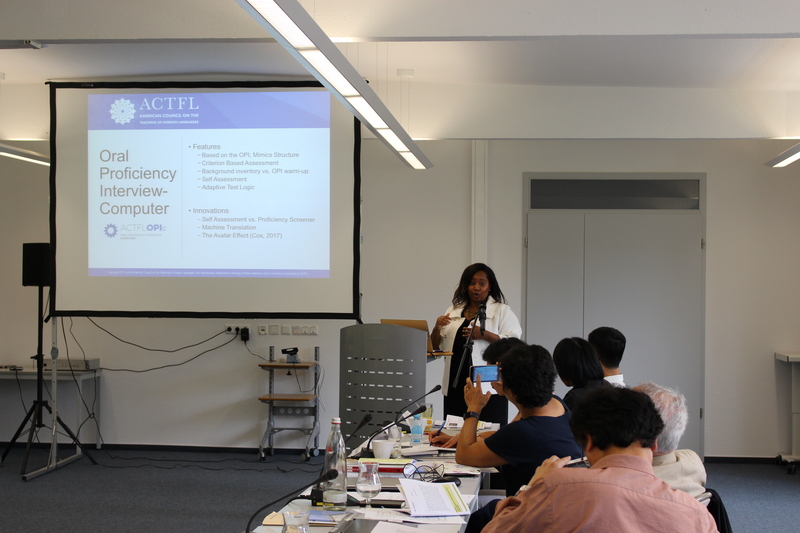 In the third keynote, Leah Graham from the American Council on the Teaching of Foreign Languages (ACTFL) discussed “Current Approaches and Innovations in ACTFL Assessments”. 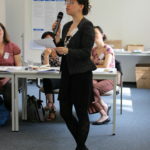 In the second workshop participants discussed their own experiences with frameworks of language proficiency and specific assessment tools for the Chinese language, while focusing on shortcomings, expectations for a research agenda, ways to enhance the status of Chinese and other non-European languages within the European policy of multilingualism and further measures that should be taken into account to create a more satisfying situation with respect to assessing Chinese language proficiency. 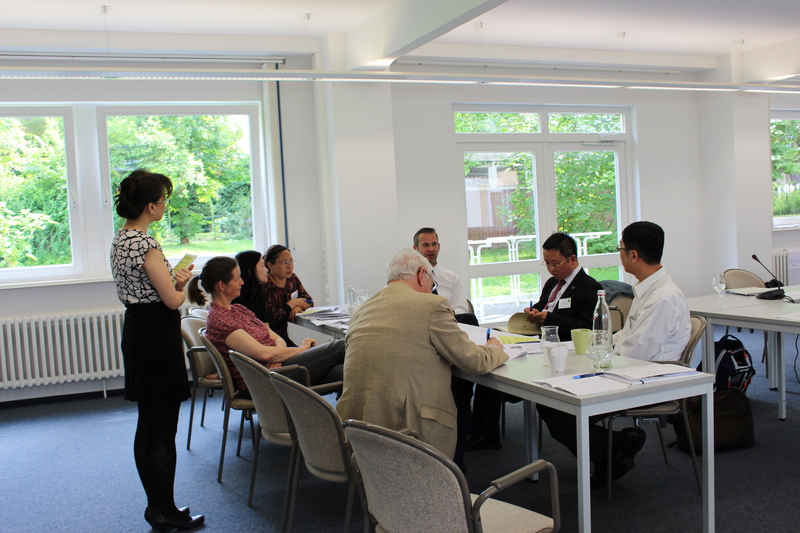 hoped for a better understanding of general education policy stakeholders concerning the difficulty of Chinese. 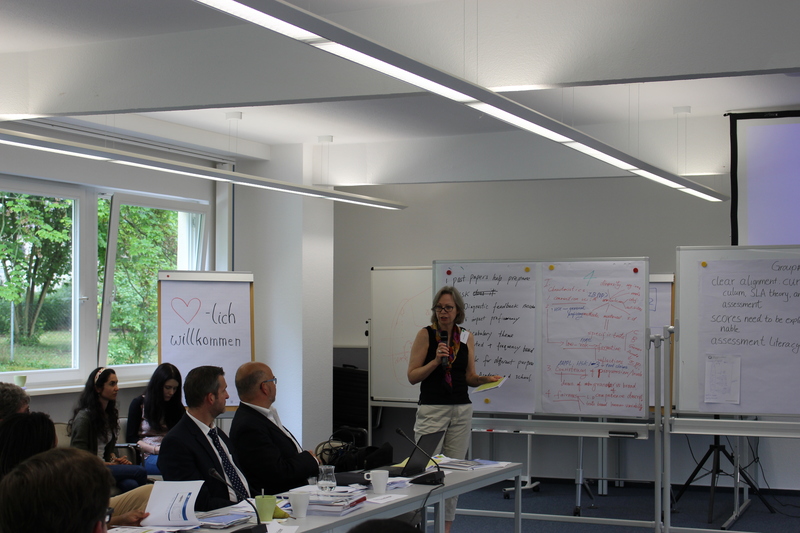 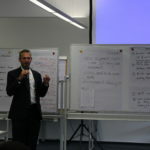 All participants agreed that it would take some time to achieve these goals. 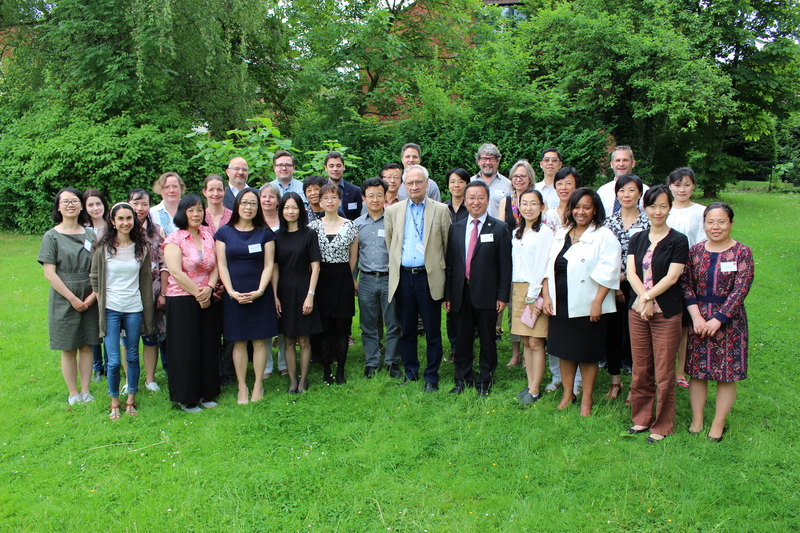 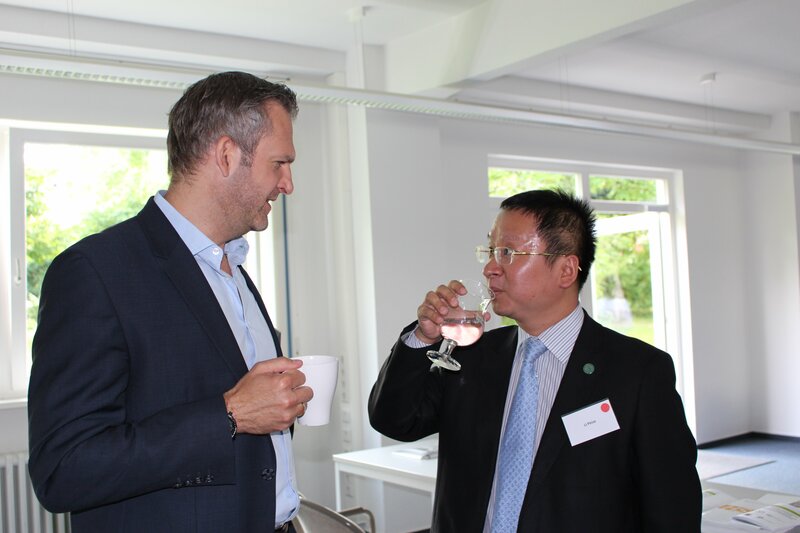 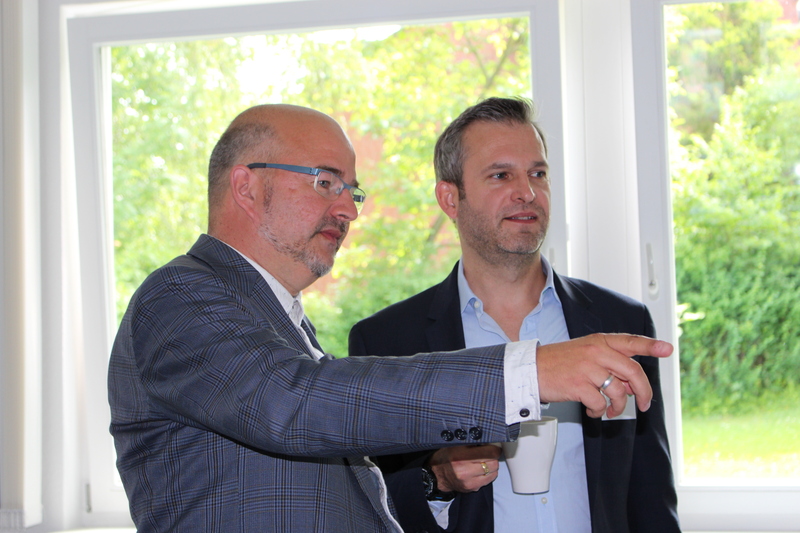 At the same time, participants agreed that the Göttingen conference was an excellent start to intensify the international discussion on all issues related to Chinese language assessment. 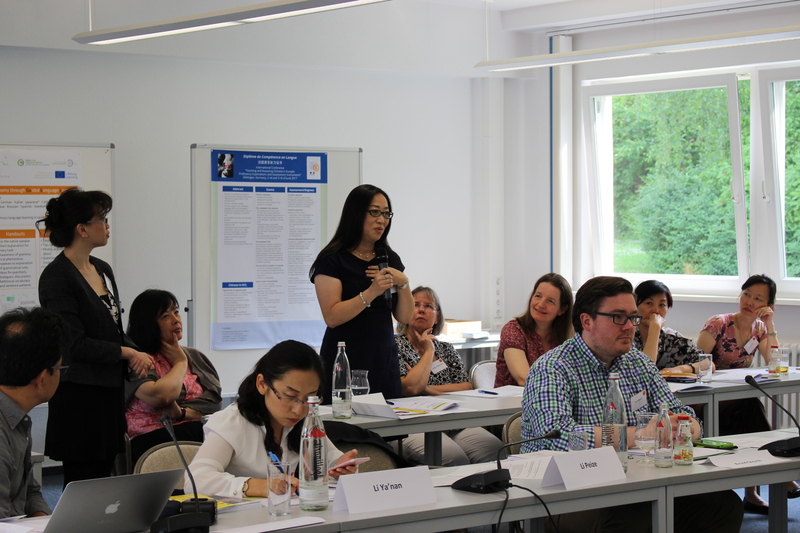 It was widely agreed that a consensus view on which competences may be achieved at particular language levels is urgently needed, if the profession wants to make better progress in promoting the teaching of Chinese as a foreign language. 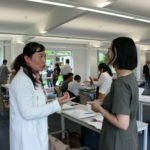 Chinese language assessment could benefit a great deal from the experience of established language proficiency exams, with the caveat that certain characteristics such as cultural matters and the unique Chinese writing system will continue to have a strong impact within Chinese language assessment.